The Empire State Building broadcast images of endangered animals to New Yorkers on Saturday in a video projection said to be the first-of-its-kind. 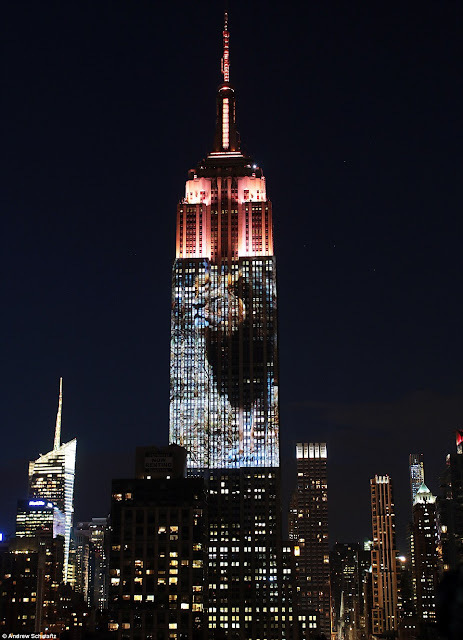 At one point an image of Cecil the Lion, whose death at the hands of an American hunter last month caused international outrage, was broadcast in a picture more than 350 feet tall and 180 feet wide. 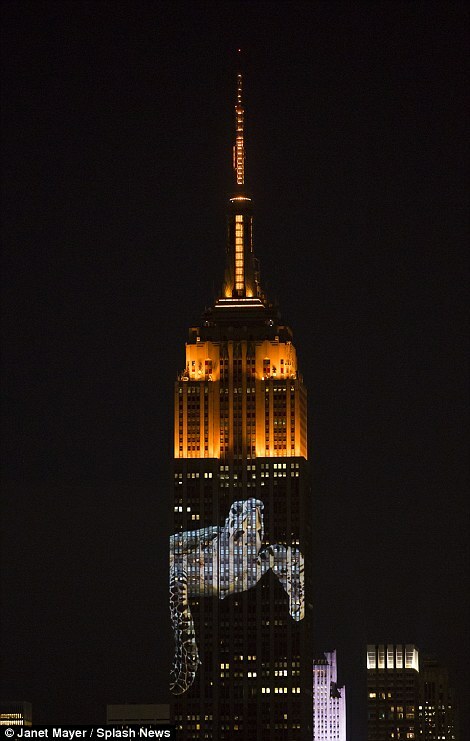 In total 160 species of endangered animals including birds, tigers, leopards and bears were shown at the event, which was meant to spark conversations about mass extinction, according to NBC New York. 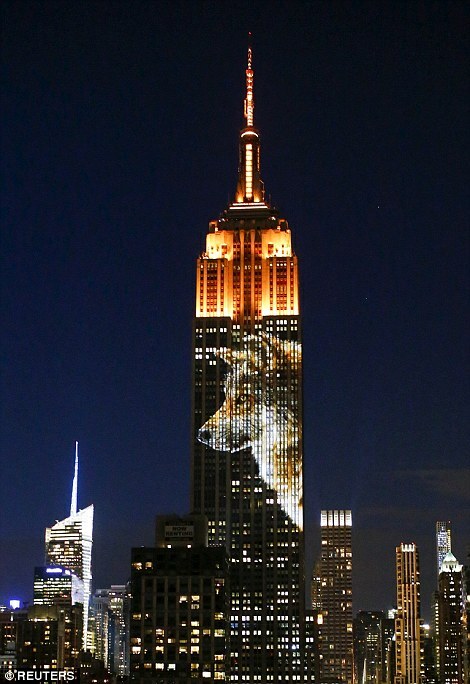 The images were put up over 33 floors of the building for three hours using 40 projectors stacked together at a rooftop two blocks away. The landmark is decorated with lights of different colors for various holidays, though organizers said Saturday night marked the first time that such as video projection had been done. The show was organized as part of a promotion for a new Discovery Channel documentary, Racing Extinction, which is set to air in December. 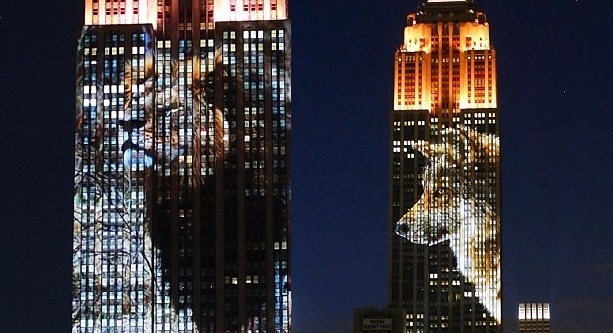 Responses to "Cecil The Lion And Wolves Honored In Spectacular Empire State Building Tribute"
That's a great tribute !! 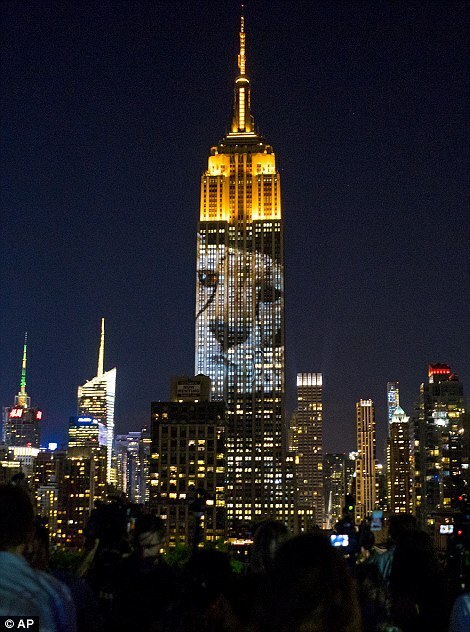 Now if more people would help the recovery of these beautiful animals . Maybe they will be saved. I sure pray & hope they will. 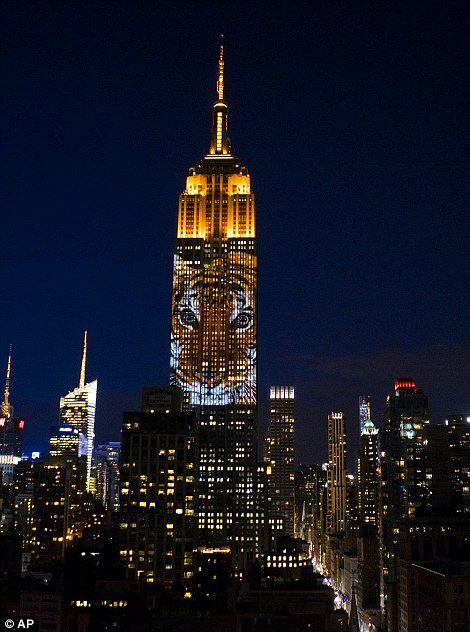 ....and yet, the Empire State Building STILL refuses to GO GOLD for even one night for our children fighting pediatric cancer. bravooooo idea--- håber budskabet sætter sig fast i disse medskyldige griske ego mennesker, der er årsagen til vores allesammens dyr der bare bliver pløgget ned for trofæ, medicin, skin og tusind andre ting for bagmænd og køber, ( DER ER ALTID EN BAGMAND PÅ ALT )-------- HÅBER at folk tænker NU ?? ?------ SKAL næste generation og næste generation gå på muserum ????? HELP ME PUT A STOP TO THIS! 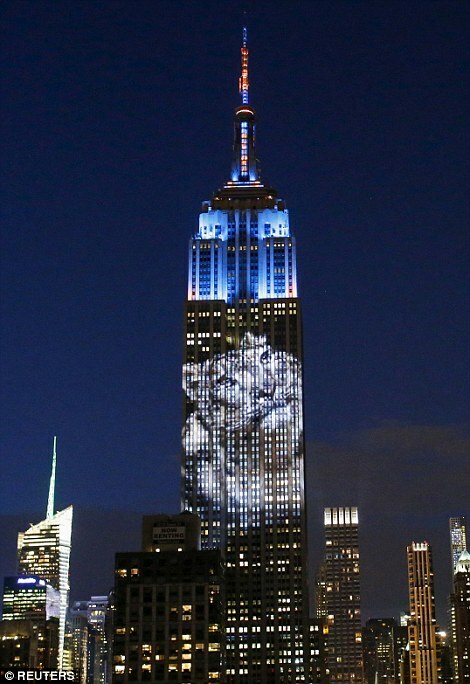 We need to Protect Earth and animals ! 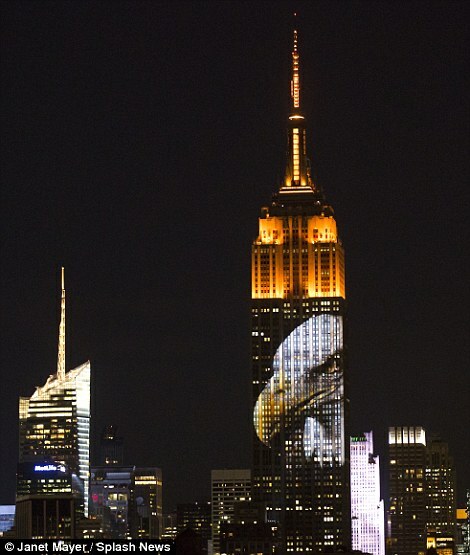 New York thanks to a wonderful message !